Happy Wednesday!! I can’t believe I am just now getting my December book post out to y’all. I am a little embarrassed it has taken me so long to write this…Oops! If you remember December was a weird month for me. I got sick about mid-December with allergies, Strep, and then a full blown sinus infection. It was awful!! On the plus side, that meant a lot of days either laid up on the couch or laid up in bed and so I got a LOT of reading done. My goal for 2018 was to read 100 books and as of November I hit my goal at 107 books. In the month of December I read a whopping 13 books and so I finished 2018 at 120 books! That just sounds so crazy to me!! I guess being sick really had it’s perks?? HA! Since I always get asked HOW I read so much I feel like I need to say that I usually listen to most of my books on an app from my local library. I can check out audiobooks, download them to the app and listen to them anytime, anywhere. I listen to books while I am getting ready for work, while I am cleaning my house and while I am driving. I also don’t watch a ton of tv and I think that helps. Anyway, if you think you don’t have time to read you should try audiobooks! ONE. Behind Closed Doors by B.A. Paris. I got on a little bit of a BA Paris kick in November and started my month by finishing this book. It’s a psychological thriller that proves you really have no idea what people are going through behind closed doors. TWO. Crazy House by James Patterson. Y’all know I love me some JP and Crazy House is his latest young adult series based on twins who are as different as night and day. Becca is the rebel while Cassie is the rule follower and when Becca is taken in the middle of the night it’s up to Cassie to break some rules to not only save her sister but herself in the process. The second book in this series comes out in April! THREE. Say You’re Sorry by Melinda Leigh. I discovered this series as a part of my Kindle Unlimited subscription, this book is the first in the Morgan Dane series and I plan on reading more in the future! This series is based in Scarlett Falls and is all about Morgan Dane who is a (former) prosecuting attorney. She helps investigate a crime that hits close to home and her community is not happy about it. I loved this book and can’t wait to read more in this series! FOUR. Montauk by Nicola Harrison. This book doesn’t come out until June 2019 however I got an advanced copy to read for review purposes. Montauk is a debut novel by Nicola Harrison and is set in the 1930’s before Montauk became the sought-after vacation spot that it is today. This book is about Bea, a Pennsylvania farm girl who marries into New York society and spends the summer vacationing on Montauk while her husband works in the city and comes to the island for weekends. She tries to make friends with the other society wives while also making friends with the help and that causes all sorts of problems for Bea. Overall I enjoyed this book and learning a little bit about the history of Montauk. SIX. My Oxford Year by Julia Whelan. I was recommended this book by a fellow book loving blogger and pretty much if it has to do with England I will read it. Especially people going abroad to study. HA! This book is about a young woman who wins an Oxford scholarship and is spending her Oxford Year studying English Literature. This book is all about her year abroad…the things she learned in and out of the classroom and the amazing people she met along they way. SEVEN. It Ends with Us by Colleen Hoover. And then I got a little bit of a Colleen Hoover kick and started by reading It Ends With Us. This book is about a woman who grew up in what seemed to be an idyllic home, she graduated from college and moved to Boston, her “city of dreams”. In Boston she started her own business and even met the perfect guy but she can’t get her first love out of her head. This book is full of twists and turns and is about a woman who stands up for herself and decides to not let her past define her future. I loved this book!! EIGHT. Maybe Someday by Colleen Hoover. Friendship, first loves, betrayal, music, heartbreak, starting over, reconciliation, this book has it ALL. I absolutely loved this Colleen Hoover book and it will definitely keep you on the edge of your seat the whole time you are reading it! NINE. November 9 by Colleen Hoover. This book is about a writer and his muse and their adventures in love and friendship when they meet on the same day every year for five years. This book is filled with so many emotions, trials, tribulations and obstacles that I honestly didn’t see the ending coming at all. This may just be my favorite Colleen Hoover book yet! TEN. The Shop on Blossom Street by Debbie Macomber. And then I started reading Debbie Macomber’s Blossom Street series and haven’t stopped a month later! HA! The first Blossom Street book is about a yarn shop called “A Good Yarn” based in Seattle and it’s owner Lydia. Lydia is rebuilding her life with the help of her yarn shop and the women she meets in her first knitting class. I loved getting to know these characters and this was a fantastic first book in the Blossom Street series! ELEVEN. A Good Yarn by Debbie Macomber. The second book in the Blossom Street series, A Good Yarn follows the stories of Lydia and her friends as well as introduces a few new characters who take Lydia’s second knitting class. Again, I love how intertwined all of the character’s lives are and I loved getting to know the new characters as well. TWELVE. Suzannah’s Garden by Debbie Macomber. Book three in the Blossom Street series, Susannah’s Garden takes us off of Blossom Street and to Colville Washington to Susannah Nelson’s home town. While dealing with the decision of having to put her mother in a nursing home Susannah decides to look up her old friends and an old love. What starts out innocently enough leads us on a wild ride across state lines and involves everyone Susannah cares about. Don’t worry, eventually you get back to Blossom Street and see how Susannah fits in to the story! THIRTEEN. Cottage by the Sea by Debbie Macomber. I took a mini Blossom Street break to listen to Cottage by the Sea and this book hit so close to home for me. This book is about a real life tragedy that leaves the main character of the book, Annie, in a place where she has to completely reinvent herself and the only place she knows where to do that is in Oceanside, a tiny beach community in the Pacific Northwest that was her family’s vacation destination when she was a kid. LOVE THIS BOOK. And that, my friends, is what I’m reading in the month of December. 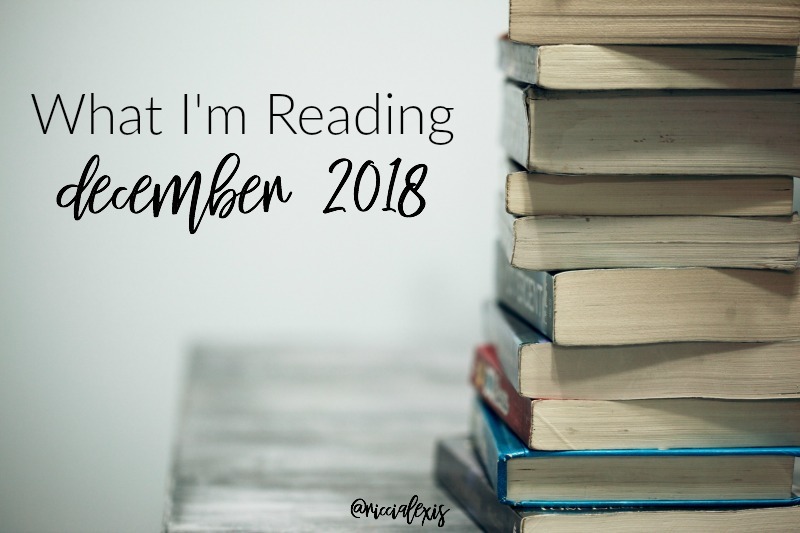 If you want to catch up on my previous month’s book posts here are January,February, March, April,May, June,July, August, September, October, and November! I have read A Spark of Life and enjoyed it very much. Will check out the rest of your reading list. This list looks really good. Cottage by the Sea would be a good read, I love playing this kind of scenery in my mind while reading. I love Jodi Picoult too! I read all her books. I did read A Spark Of Light and once again, she wrote a winner. I’ll have to check out these others. Spark of Light was AMAZING!!!! There are so many books that I want to read. I’m going to need to add these books to my list. It gets longer every day LOL. It’s kind of neat that you were able to get an advance copy of a book. Wow, go you! Honestly I wish I had more time for reading. I’ll definitely check out some of your recommendations. Sound like interesting reads! Thanks! I don’t have a ton of time either, that’s why I listen to a LOT of audiobooks! Hey, at least you are reading! I started a book before Christmas and have not finished it. I will have to check out a few of these. Thirteen books in one month? You are a rock star! I really need to set aside more time to read. My Oxford Year sounds interesting. Thanks for sharing your thoughts on these books. I’ll have to share this blog post with my wife she might like this too. I always look forward to your reading posts. You always find so many amazing reads for your list. Can’t wait to check some of these books out. Thanks! I listen to most of them via audiobook…LOL!! Cottage By The Sea sounds like a book I would love. I’ve read many of Jodi Picoult’s books and usually really like them, this one sounds like one I should read too. You read over 100 books?!? Whoa! I am in awe. Lots of good ones on this list. I loved A Spark of Light!! I love Debbie Macomber, too. I have read all her books and try to keep up with her publishing. She writes a ton! She does write a ton of books! I wish I had her imagination! One day I’ll be able to make some time to read, and then I can make an awesome list like this. I find time by listening to audiobooks!! It sounds like you read some great books in December. I have been trying to get back into reading for fun. I hope you do get back to reading for fun! Reading 107 books is an AMAZING feat! People who read a lot are very interesting conversationalists! Thanks for sharing these great reads. What a great list. I need to add some of them to my list. I also need to make TIME. Thanks for the reccos! You’re welcome! I don’t have time to read either so I listen to a LOT of audiobooks! LOL! Reading is so relaxing! It takes me to another world! I would like to read It Ends with Us by Colleen Hoover. I liked your review of this book! Reading is most definitely a great tool for relaxing. I love reading before bed, it put me to sleep…LOL! 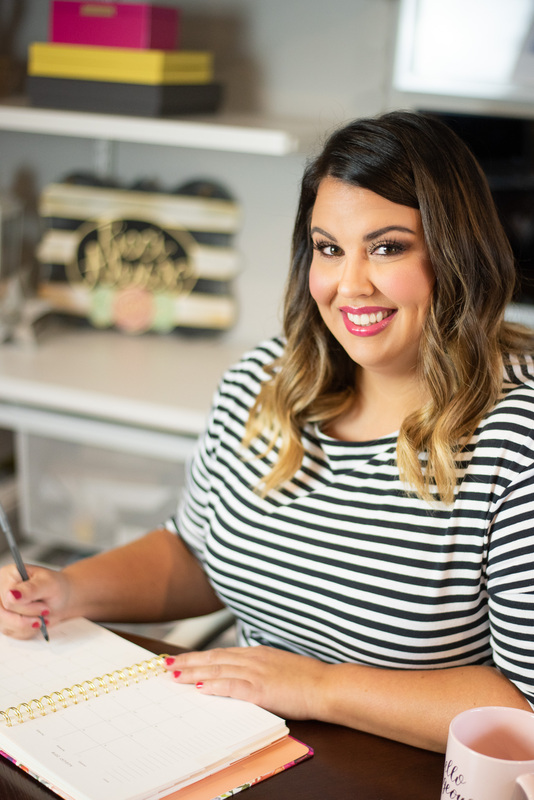 I LOVE Colleen Hoover books! She is so good!!! She really is!!! I need to read more of her stuff soon!! I love that you got a chance to read A Spark of Light. A friend recommended it to me earlier this month and I’ve been looking into it myself. Oh gosh it is SO GOOD!! I love Jodi Picoult!! Love all the books you’ve listed. Added some of them to my must read list!